I know Kevin is a friend ... but I'm saying this from the head as well as the heart. I love that DK does all their own research, testing and development. Every time we get together, he is constantly talking about "new ideas" and he's got a bunch of them. Then ... Kevin uses it ... LOL ... if you've ever seen Kevin's trike ... it's a walking advertisement for his products, not because he wants to sell lots of them, which I'm sure he does, but because he KNOWS they work. Just my $0.02 worth. Kevin ... we need to get you on a wing so you can develop goodies for the dark side ... LOL. 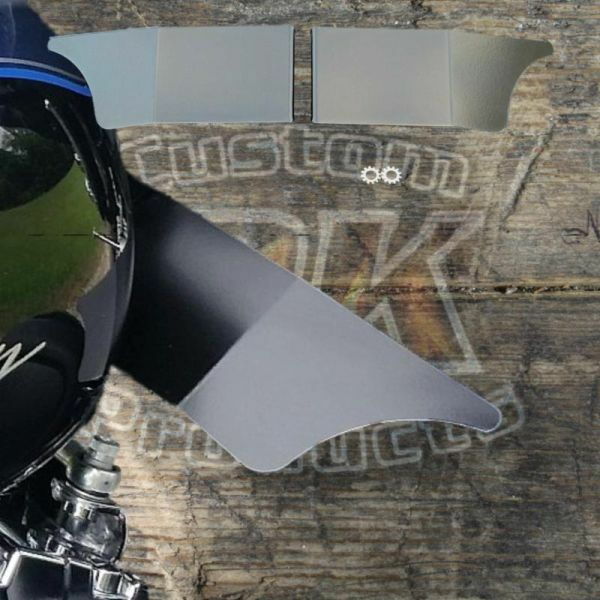 Touring and Trike Owners DK Custom Products 4" Slash Cut Chrome End Caps Available!